The National Heart, Lung, and Blood Institute awarded the Wayne State University School of Medicine a new five-year, $1,497,650 million grant to explore the underlying mechanisms of central sleep apnea in patients with spinal cord injury. The results of the project, led by principal investigator and Professor of Internal Medicine Safwan Badr, M.D., could lead to potential therapeutic approaches for the care of patients with spinal cord injury and other neurologic conditions. Sleep apnea, a serious sleep disorder in which breathing repeatedly stops and starts, is associated with episodic oxygen deficiency, sleep fragmentation and changes in cardiovascular function, and leads to poor sleep quality, daytime sleepiness, impaired quality of life and adverse cardiovascular consequences. "We found that sleep apnea is very common in patients with spinal cord injury, with a four-fold increase relative to the general population. Moreover, we discovered that tetraplegia, per se, is a risk factor for central sleep apnea," Dr. Badr said. "Treatment of central sleep apnea remains elusive, even in the able-bodied population." Central sleep apnea occurs when the brain doesn't send proper signals to the muscles that control breathing. Many patients with tetraplegia - paralysis caused by illness or injury that results in partial or total loss of use of all four limbs and torso - display a periodic breathing pattern similar to patients with congestive heart failure. The project, "Sleep-disordered breathing in patients with C-SCI: Mechanisms and therapy," supported by National Institutes of Health grant R01 HL130552, follows eight years of sleep apnea research in patients living with spinal cord injuries conducted by a team that includes Dr. Badr, Associate Professor of Internal Medicine Abdulghani Sankari, M.D., Ph.D.; Professor of Anatomy and Cell Biology Harry Goshgarian, Ph.D.; Professor and Chair of Physical Medicine and Rehabilitation-Detroit Medical Center Lawrence Horn, M.D. ; and others. The planned studies will be conducted at the Sleep Research Laboratory located in Detroit's John D. Dingell Veterans Affairs Medical Center. "By providing mechanistic insight, our proposed studies may illuminate potential therapeutic pathways for a condition that has defied traditional therapy. 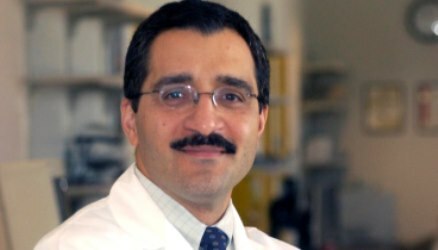 Therefore, our long-term goal is to identify key pathophysiologic pathways that lead to central sleep apnea and to develop targeted therapy that could be investigated in focused clinical trials," Dr. Badr said. The team has investigated sleep apnea, and especially central apnea, for more than two decades, studying the effects of gender, age, medications and associated obstructive sleep apnea on the pathogenesis of the disorder.